This time of year brings many things…raking leaves, carving pumpkins, crisp mornings…and for many B2B marketers, planning. That’s right…Q4 is the time to start laying the groundwork for next year. Planning can be overwhelming. There’s so much to consider and so much to review. Today’s B2B marketing world is changing so fast. Just as you get your head around the latest demand generation trends new ones are emerging. Couple that with the day-to-day level of craziness most marketers experience and thinking about the future can become a scary endeavor quickly. 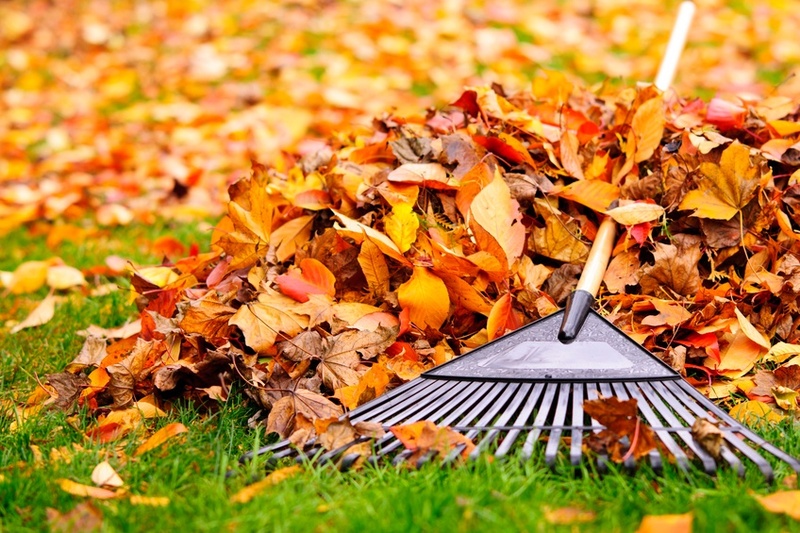 In fact, I think I’d rather rake leaves….every day…for a month. If you’re like me, you read a lot of blog posts from a lot of different sources in an effort to stay up-to-date in the world of marketing. While that can be very helpful, it can also be enough to make your head swim. Technology is here to stay and the right technology can be an asset for B2B marketers. We’ve featured this graphic multiple times now on The Demand Creator Blog but here it is again. 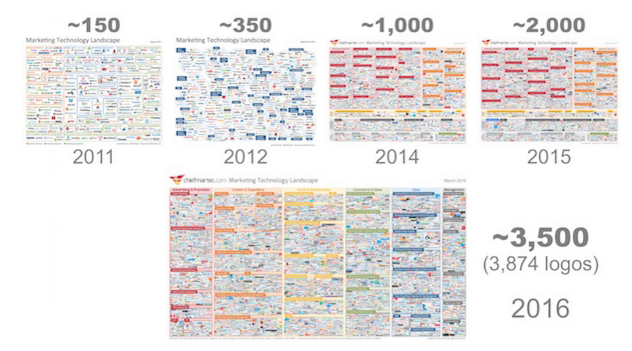 Every time I see it I can’t believe the explosion of MARTECH companies that has occurred over the last five years. With that many options, it is no wonder marketing professionals are overwhelmed. Earlier this year, Doug wrote about six tools that should be the foundation of your sale and marketing technology stack. They include CMS, CRM, marketing automation, email tracking, data and analytics and lead intelligence. If you haven’t built your foundation, start there before you think of doing anything else in 2017. If you have a strong foundation and feel like you’re getting everything you can from your investments, you may want to explore a few more options. Something we have been using at Imagine is BrightInfo. It is a tool that helps us drive conversions on our website. If that is something you’re striving to do in 2017, check it out for yourself. Another tool we’ve been using for ourselves and our clients is Hotjar. Hotjar visually identifies how visitors are engaging with your website. If user experience is something on your radar in 2017, take a look at Hotjar. The possibilities with today’s technology are endless. Word of caution: don’t try to keep up with the Jones. Create a technology strategy that aligns with your overall goals and objectives. When it comes to technology, do not jump from one new shiny object to another. Today’s buyers are looking for content that is fast and easy to consume. That makes video and audio channels all B2B marketers should be thinking about for 2017. Earlier this year, I wrote a post called 6 Reasons B2B Marketers Should be Using Video. One of the most interesting ideas from that post was from Dr. James McQuivey, formerly of Forrester. He estimated that one minute of video is worth 1.8 million words…not that one minute of video could replace 1.8 million words but that it could have the same impact. If you haven’t incorporated video yet, 2017 is the year to give it a try. If you don’t, you know your competition will. One of the greatest things about video is its versatility. There are many options for using video. Use it in your blog posts. (Here’s an example of The Demand Creator Minute.) Use it in email and lead nurturing campaigns. Try incorporating video into your website. The possibilities are really endless. Audio – much in the form of podcasts - can also be very effective and continues to grow in popularity with B2B marketers. In fact, podcast listening grew 23% between 2015 and 2016 and continues to rise. Listening on the go is also common trend. Sixty-four percent of podcasts are listened to on a mobile phone or a tablet making it easy for the audience to multi-task. Launching a podcast requires a lot of time, energy and commitment and may not be the best choice for all small to mid-size organizations but is definitely something worth thinking about in 2017. Account based marketing is a popular topic in the world of sales and marketing. I see a new article about it every day. What isn’t new is the concept. Most B2B sales organizations have been taking an account-based approach for years. More than 10 years ago, one of the engineering firms I worked for practiced their own version by going through a planning exercise every year to identify where the next year’s revenue was going to come from – by client. Marketing plans for the year then revolved around those clients. An account-based approach can be implemented with other marketing strategies. For example, just because you are currently taking an inbound approach doesn’t mean you can’t add account-based. It’s all about a balanced approach or an allbound approach as we like to call it. If you’re not implementing account based marketing, it is something you should consider in 2017. In fact, it is one of the strategies Doug shared in our recent webinar, 5 Growth Strategies to Finish 2016 Strong. Do some research. Figure out if it can work for you. In many organizations, marketing has historically been referred to as “arts and crafts.” Creativity drove marketing departments…not strategy. Those days are essentially gone. Some organizations are still catching up but the world of marketing has a much more data-focused job to do. And that is not going to change. If you’re uncomfortable with data, make 2017 the year you climb that mountain. If you’re a B2B marketer, chances are you’ve been tracking at least some metrics but know you can dig deeper to provide even better information. Figure out what leadership wants to know and how you can deliver it to them. Get rid of the “arts and crafts” label for good. Unless you’ve been living under a rock, sales enablement is probably a phrase you’ve been hearing a lot over the last 12 months. Next month at Inbound 2016, Doug will be presenting on that very topic. In a simpler way from my marketing perspective – sales enablement is a process or system that allows sales reps and marketers to provide the right content to the right person at the right time in a way that is measurable and can be adjusted based on what is learned. As Doug explained in this blog post, sales enablement is an advanced concept and if you’re struggling with poor messaging, lack of content, poor lead generation or inept sales efforts, 2017 may not be the time for you to think about it. Focus on the demand generation fundamentals first. But if you’ve mastered the demand generation fundamentals and growth is your primary goal, sales enablement should definitely be on your radar now and next year. As you start planning and thinking about 2017, it's important to focus on your overall objectives but also keep an open mind about the ideas and tools that can help you meet your goals.